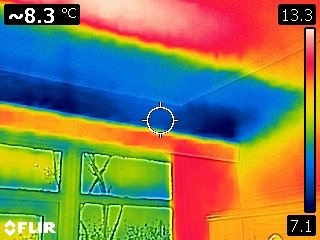 Thermal image showing missing insulation in extension roof. Understanding your home now, and how it can be improved. We prioritise 'fabric first' improvements. Assessments include a two hour site visit. URBED have worked with Carbon Co-op since 2012 to develop 'My Home Energy Planner'. 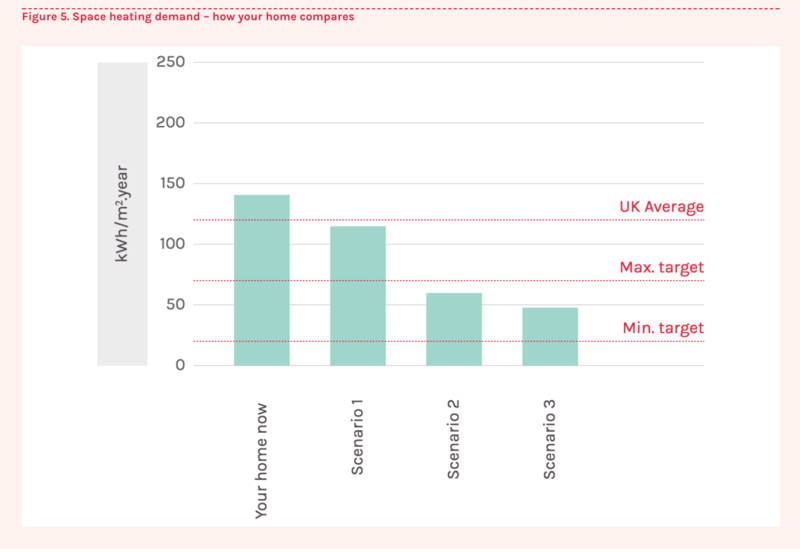 This is a whole house assessment tool, which generates a report which helps householders to undertsand how their home performs now, and how it might be improved. Its different to many home energy assessments, such as Energy Performance Certificates, because it considers householder preferences and factors like indoor air quality, comfort and health alongside energy and carbon. 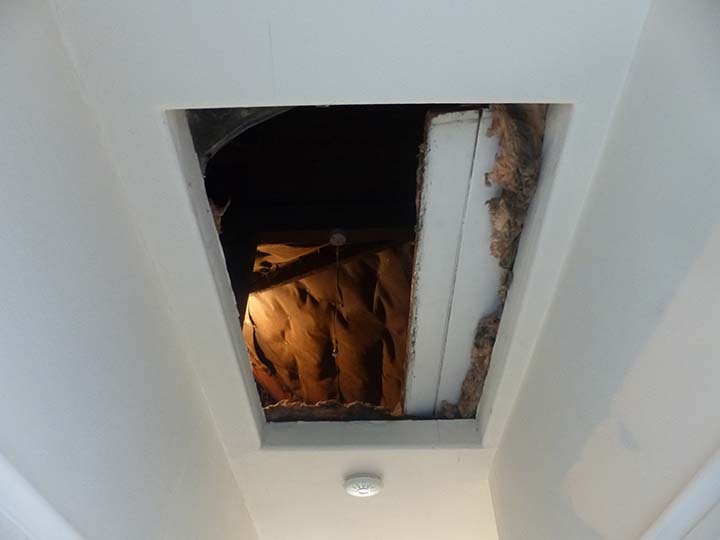 A detailed list of suggested measures includes pointers on mitigating the risk of unintended consequences, and considers ventilation as an integral part of any whole house refurbishment. 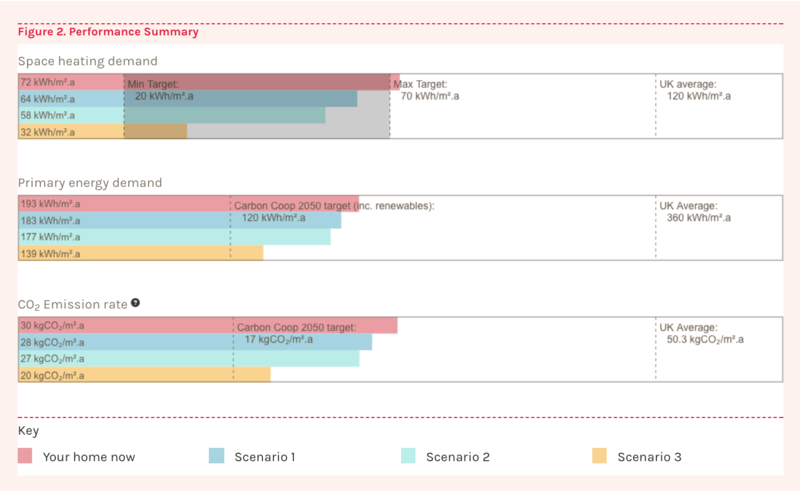 The report presents potential improvements in scenarios that are tailored to householder's preferences and budgets. These usually build from 'quick wins' to deep retrofit, whilst considering likely timescales for maintenance works and replacement of things like windows, or home improvement plans such as loft extensions or kitchen replacements, that are often trigger-points for retrofit works. In 2014-15, with support from Innovate UK, we took our existing cumbersome spreadsheet tool, developed with LEAF funding in 2012, and created an online tool. We worked in collaboration with Open Energy Monitors, and My Home Energy Planner is now part of their suite of open source energy monitoring and assessment tools. We are committed to the open source nature of this project. It means it has a life beyond our organisation, many people can contribute their knowledge to its development, and other organisation can adpat it for their own use. We have worked with a range of community energy groups and industry experts, both in delivering assessments and developing the tool, including Cumbria Action for Sustainability, the National Energy Foundation and the Centre for Alternative Technology. Request an assessment: You can request an assessment of your home via the online form here. Assessments include a 2-3 hour survey of your home and interview with you. The report is produced following this, and there is an opportunity to ask follow-up questions. As part of the My Home Energy Planner project we're working with the National Energy Foundation, an independent charity. To ensure we make the tool as useful as possible - helping people to better understand their energy use and the improvements they can make to their homes - we're conducting a survey to find out if you've previously assessed your home energy usage and what information you need when considering potential improvements. We want to hear from you, whether you own or rent your home, regardless of how much you know about energy. The survey takes about 10 minutes to complete and to thank you for your time, you can enter a prize draw to win one of 12 OWL Micro Wireless Energy Monitors. Over a weekend in Southampton, the team worked up ideas for the development of My Home Energy Planner, culminating in a pitch to a judging panel and the other teams. Our idea centred around providing a free, open and simplified version of the full tool which would be accessible to the wider public. By simply entering your address, this free version will use Ordnance survey and Land Registry data to pre-populate floor and exposed surface area, removing the need to undertake time consuming measurements. This 'entry' tool meets a need as not every householder has the time or skills to undertake a full assessment of their home. This will offer a quick and easy means of producing a report with 80% of the accuracy of the paid-for 'pro' version, significantly reducing the 400+ data points required for a typical whole house assessment. Householders may wish to follow it up with a paid for 'pro' assessment. We were very pleased to be announced one of the winning teams, and were awarded £25k to develop the tool. A successful weekend all round!